In an age of "slacktivism" and fleeting social media fame, She Takes a Stand offers a realistic look at the game-changing decisions, high stakes, and bold actions of women and girls around the world working to improve their personal situations and the lives of others. 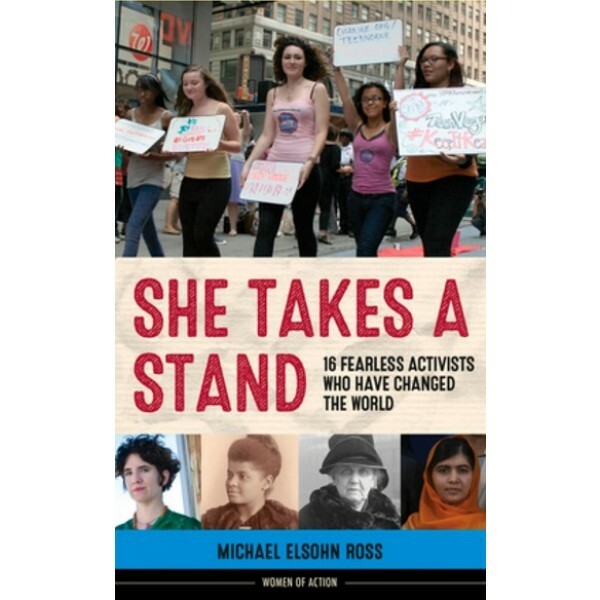 This inspiring collection of short biographies features the stories of extraordinary figures past and present who have dedicated their lives to fighting for human rights, civil rights, workers' rights, reproductive rights, and world peace. Budding activists will be inspired by anti-lynching crusader and writer Ida B. Wells; birth control educator and activist Margaret Sanger; girls-education activist Malala Yousafzai; Gulabi Gang founder Sampat Pal Devi, who fights violence against Indian women; Dana Edell, who works against the sexualization of women and girls in the media; and many others. 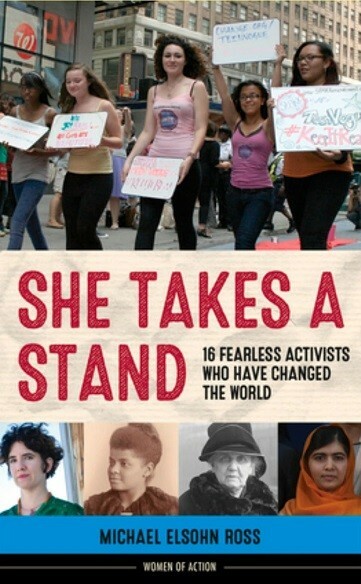 With its related sidebars, a bibliography, source notes, and a list of activist organizations readers can explore in person or online, She Takes a Stand is an essential resource for classroom reports or for any young person passionate about making a difference.